C & G Electrical - Alarms/Security, Electrician based in London, Greater London. Invoice history based on 92 reviews. I am a qualified electrician with 10 years’ experience working in the domestic and commercial sectors. I welcome all jobs from minor to major, call outs to a full rewire. I am available 24/7 to be contacted on the number provided. I am NICEIC registered contractor with reasonable pricing and I am organised and efficient. 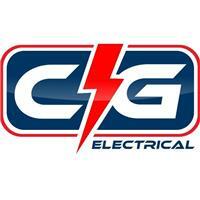 C&G electrical are reliable, punctual and professional in all work carried out and when working with clients. We are based in Enfield though work across London and Hertfordshire and further out if required.